KMSP-TV has been punching above its weight lately. First they did a story on the Markingson case that I commented on earlier on Community Voices. See: "Send in the Wackos..." Their latest effort in the Investigators series is quite good and thought provoking. Long time newsies will recognize the narrator for this piece, the excellent Trish Van Pilsum. 1. A university employee was allegedly harrassed into taking a supervisor on an illegal mule deer hunt on a reservation in South Dakota. She was cited, admitted guilt, and paid a fine. 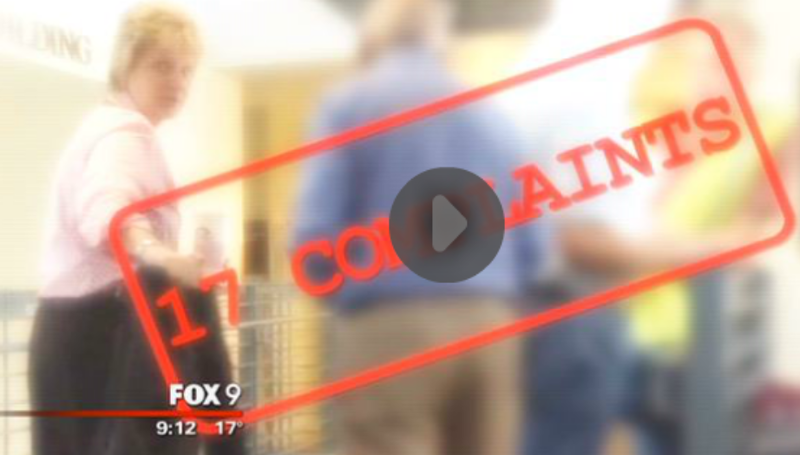 "I really don't have any comment about something that happened off university property or off university time," Vice President of University Services Pam Wheelock told Fox 9. Louden pleaded guilty to the two citations. Off campus? Sure -- but very much a universtiy issue because according to an anonymous complaint filed with the U, Louden repeatedly harassed one of her subordinates to take her on the hunting trip in the first place, calling him dozens of times until he relented. He ended up paying a $250 fine for aiding and abetting the illegal hunt. That seems perfectly inappropriate. "This is using your position of authority for purposes of getting something from your subordinates that seems completely illegitimate." 2. A University of Minnesota supervisor apparently rigged bids for a contractor friend. "Certainly, it sends up the red flags," Schultz said. but according to e-mails, it appears she and her staff did just that. So why would UofM supervisor Louden try to give Skyline/Schalesky the edge? "There is no such thing as a small favor." 3. Have "favors" been done by University of Minnesota employees at the Loudon residence? One of the complaints about her said she spent what she wanted on things like food for meetings and gatherings. Two years of food receipts show the department spent $12,299 on food bought from local business for routine meetings -- most involving Louden or her workers. By way of comparison, the University of Wisconsin's facilities department didn't spend a dime because budgets are just too tight. According to a memo written by Louden, she and 9 others planned to head to Las Vegas for what's billed as the largest trade show for custodial supplies in North America. This situation certainly reminds me of the way the U of M has handled the Markingson case. But of course the death of a clinical trials patient is a much more serious matter. But as an indicator of the institutional culture at the U, this case speaks volumes. The discrepancy between words and actions is obvious. Most of us can recognize why the situation described above is wrong and have witnessed similar behavior in our own lives. To the lay person the Markingson case may at first seem complicated and beyond comprehension, because who is to decide when doctors disagree? This is but one more example of why an outside investigation of the Markingson case is necessary.